TUBELiTE Gold is a skin lightening emulgel powered with Glutathione. It gives you a glowing & youthful skin. 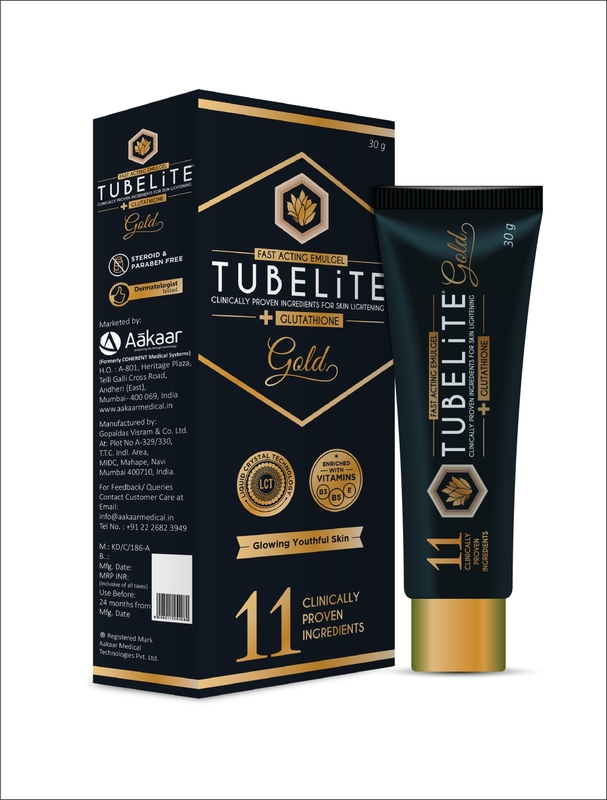 TUBELiTE Gold has clinically proven 11 ingredients for skin lightening and has unique Liquid Crystal Technology. Apply full face on a thoroughly cleansed skin & massage gently. Preferably use at night time.